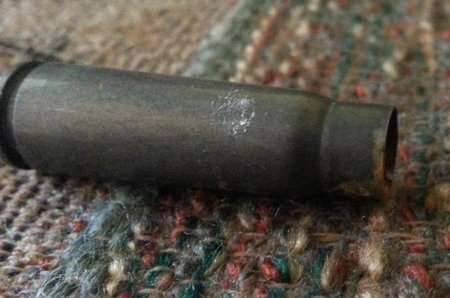 Will Polymer Coated Steel Cased Ammo Rust? 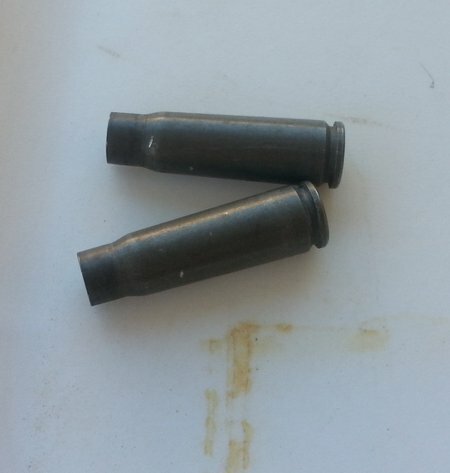 So how effective or good is the polymer coating on steel cased ammo against the elements? Is is better than lacquer coated steel cases? 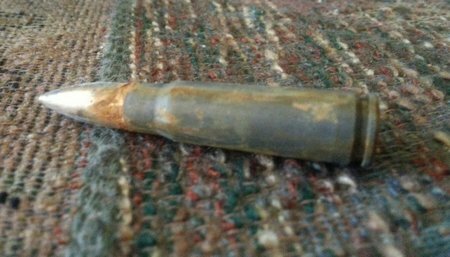 I wanted to find out if the polymer coating on the Russian/Ukraine 7.62×39 steel cased ammunition was rust or corrosion proof… so I did a test. 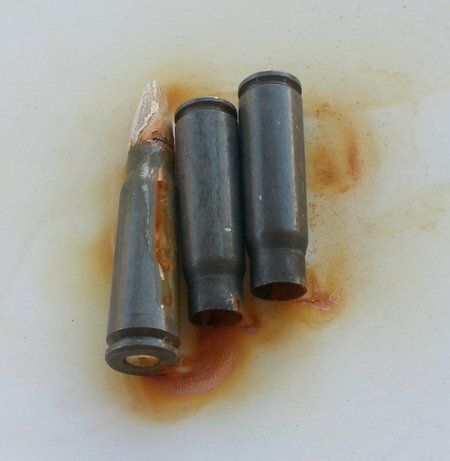 I took some fired 7.62×39 polymer coated steel cases and one live round of polymer coated steel cased ammo and sprayed water on them outside to see if the cases would rust. The cases were left wet and some were sitting in water for at least 24 hours. Some of the cases were sitting in water and some were not but all were sprayed with water everyday for 4 days. Here are the cases. The 2 cases and the live round sat in a lower middle area of the plastic container lid and so they sat in water for at lease 24 hours while the other fired cases did not sit in water but were sprayed with water once per day. 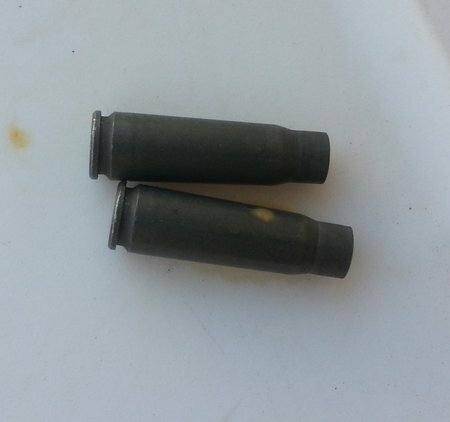 Here are 2 fired cases after 4 days of the corrosion test. Not bad. I don’t see any rust on them. I think these 2 are Wolf steel cases. Here are a different set of polymer steel cases. These 2 have rust on them. 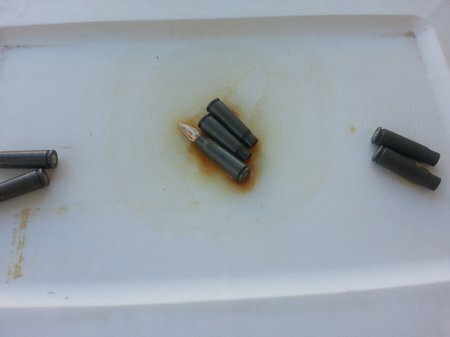 Here are the 2 fired cases and one live round that sat in a small puddle of water for more than 24 hours. All of these cases are rusted. 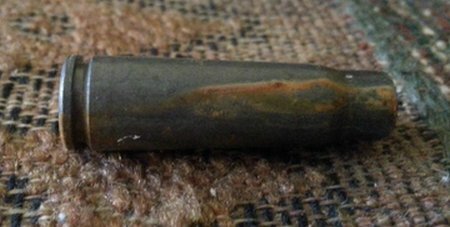 Here is another view of a fired polymer steel case showing the rust on the side that was laying in water. Here is the live round. 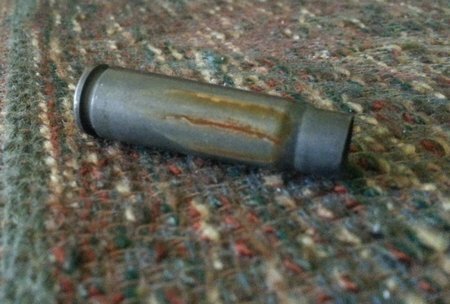 Very corroded case and bullet. This case only had rust on the mouth which may have been from the inside of the case. The rest of the case was no corroded. So polymer coated steel cases can rust or corrode when exposed to extreme moist conditions like being wet for 24 hours. 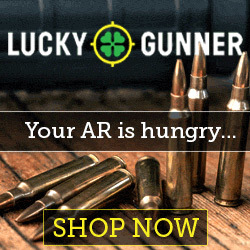 This is an extreme test and most ammo is not likely to be exposed to standing water. Humid air will most likely not have any adverse reactions with this type of ammo but if the box of ammunition gets wet, it may rust…as always recommended, keep ammo dry.